Posted on November 6, 2017 at 4:02 pm. Reacquire CHARAS / EL BOHIO / FORMER P.S. 64! CHARAS, Inc., Andrew Berman, GVSHP, Laura Sewell, EVCC and others! Wake up Loisaida, defend what’s yours! Posted on June 7, 2016 at 2:15 pm. 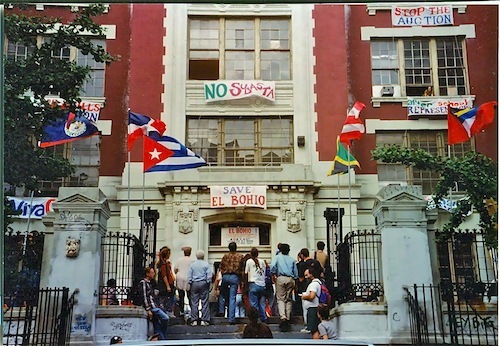 On June 15, join Greenwich Village Society For Historic Preservation, Lower East Side Preservation Initiative, East Village Community Coalition, Friends of the Upper East Side Historic Districts, South Bronx Unite and Manhattan Borough Historian Michael Miscione for a walking tour to learn more about the General Slocum tragedy. The walking tour will conclude at German restaurant Zum Schneider. 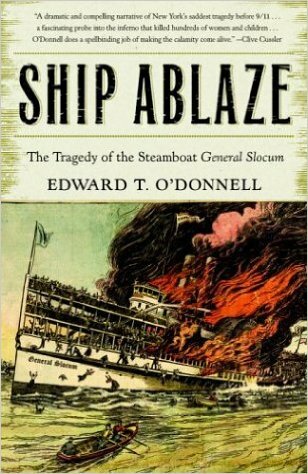 Ship Ablaze by Edward T. O’Donnell. 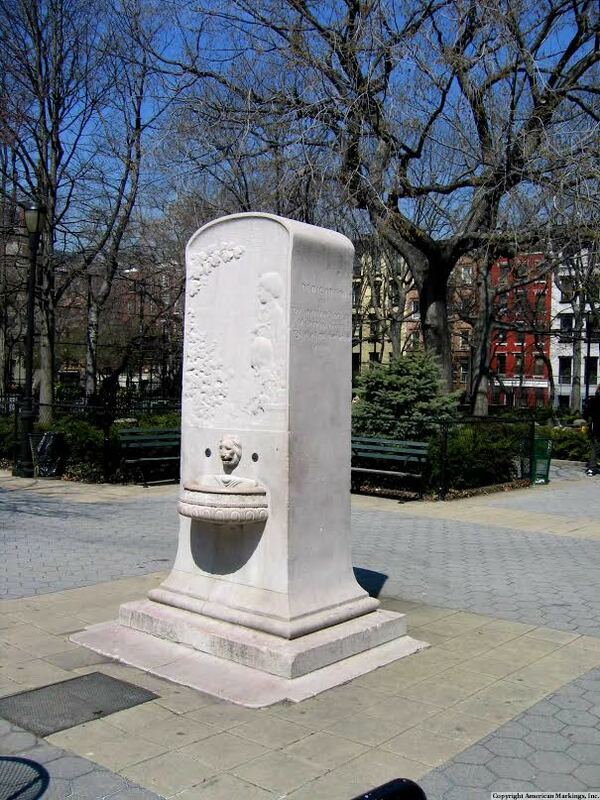 Slocum Memorial Fountain, Tompkins Square Park. EVCC’s Annual Fundraiser: Spaces Old and New – Early Bird Tickets! Posted on April 26, 2016 at 5:14 pm. 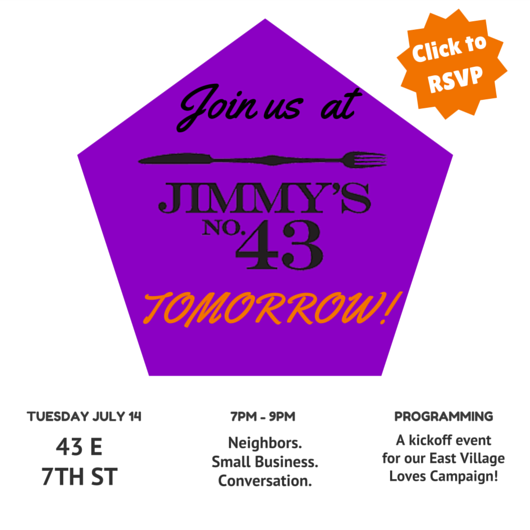 Please join us at our fundraiser celebrating our East Village independent businesses! Posted on July 14, 2015 at 12:43 pm. A very special launch of our #EastVillageLoves campaign, designed to encourage locals and tourists alike to shop small, independent businesses, particularly those affected by the March explosion on the corner of 2nd Ave. and 7th St. Neighbors. Networking. Support for locals, by locals. *ID will be required for those who wish to be served alcohol. About East Village Tuesdays The East Village Tuesdays meetup series is designed to bring together residents of the East Village in the hope that socializing, sharing and supporting one another will lead to a stronger, more informed community. Our East Village Tuesdays series is presented by the East Village Community Coalition’s Host Committee, dedicated to creating enjoyable and informative events throughout the community on behalf of the EVCC.